Melody Holler Farm’s A2 Guernseys enjoying a respite from the rain. Snowville’s processing plant is located in the center of Melody Holler farm. POMEROY — Even though the domestic dairy market is shrinking and prices are depressed, Snowville Creamery’s niche marketing strategy has made the 11-year-old business a success. Located near the Meigs-Athens county line on a steep and winding state highway, the brainchild of Warren and Victoria Taylor sends minimally processed dairy products to the state’s four major metropolitan areas as well as to Indianapolis, Washington, DC and New Jersey. It began as the Taylors were rearing their children in the area. They were thrilled with the taste of milk produced by their neighbors at The Red Brick Dairy. Warren, a dairy technician and dairy design engineer by trade, was so intrigued he decided to find a way to share that milk with as many consumers as possible. He purchased an acre in the middle of the farm, and began to plan and then design a new creamery. Today, Snowville is still on its original site. The property surrounding the creamery is Melody Holler Farm, and is run by Lin and Eric Karcher, who have been at this location since 2015. The creamery is one of the largest employers in Meigs County with about 30 staff members, including the pick-up and delivery drivers. It is “bursting at the seams,” according to Heather Fuston, who serves as public relations director and community educator for the company. Snowville continues to operate with the Taylors’ set of values: pay the farmers a sustainable wage, keep the cows as healthy as possible, focus on the taste. Even though Warren is engaged in other projects these days, Virginia is a visible and regular presence at the center of operations. The creamery is not a cooperative. Fuston said that two other farmers—one in Ohio and one in Mason, WV—are currently part of the production group. After a three-year transition period that has just ended, all of the cows in the operation are A2/A2 cows. Even this time of year, the cows are out foraging. Their diet is supplemented with a minimal amount of non-GMO grain. 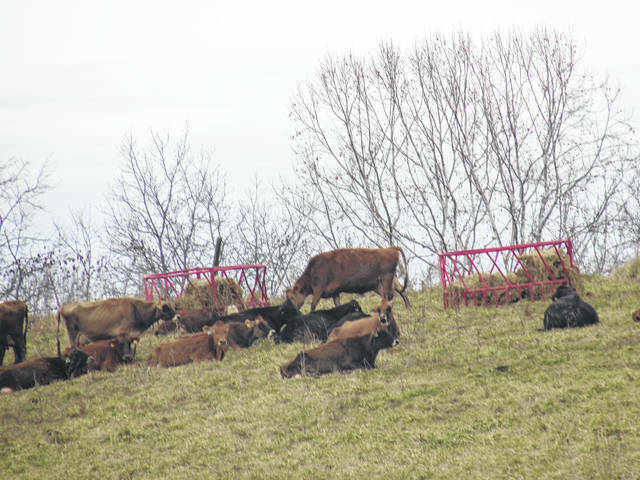 “We try to keep that at about 10 percent of their diet, but we want them to be as healthy as possible,” Fuston noted, and added that the farmers who manage the three herds make feed decisions based on conditions at their own farms. The cows at Melody Holler are rotated to different pasture after each milking, about 12 hours apart, which helps sustain the grass as long as possible. The A2/A2 designation is determined by the genetics of the individual cows and means that the cow has the A2 genetic factor on both sides of her family tree. Guernsey and Jersey cows are typically A2, which means that their milk is consistently nutrient-rich, dense with beta-casein protein, and less likely to cause stomach discomfort in humans. The A2 Milk Company originated in New Zealand and has been responsible for bringing this aspect of milk to light. Fuston says that company has invested in advertising and education programs world-wide that a small creamery, such as Snowville, could not afford. The typical Holstein cow—those black and white ones most often associated with dairy products—does not have the A2 gene. Although Snowville is not organically certified, “our standards are even cleaner, even better for the cows and for” consumers than organic requires, Fuston said. This allows them to get to a premium price point for not only milk, but yogurt, half and half, and cream. “It’s always a struggle to make enough cream,” Fuston added, and demand for whipping cream is high year round. “We see opportunities especially with A2 as people become more aware of the health benefits” it has. Right now she notes that their “niche is a safe place to be” but it is not invulnerable. Two other Northern Ohio companies are competing with them now. Whole Foods distributes products from Snowville in the East, and uses them in their in-store bakeries. 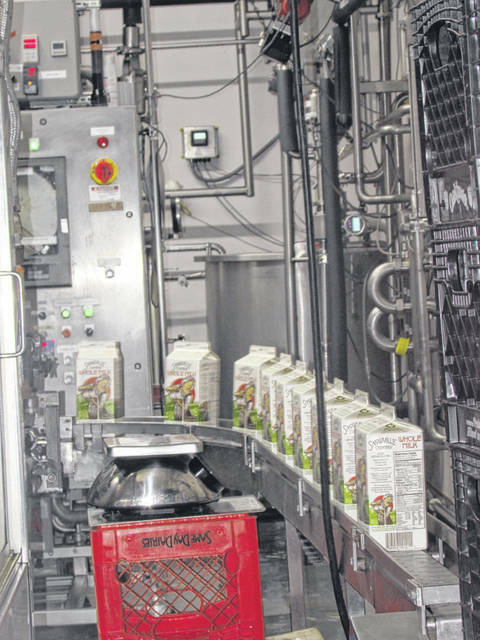 The creamery produces, on average, 15,500 cartons of milk each week. They run production five days a week. “We’re committed to staying local,” Fuston noted, adding that it would be hard to move the product much farther east or west than it’s going right now. A lot of what happens in milk marketing has to do with the shelf-stable dates that are allowable. “We have a short” shelf-life “since we’re minimally pasteurized.” Snowville is delivered twice a week to stores in Columbus, Cincinnati, Dayton and Cleveland.